Grease Duct Cleaning in Santa Monica CA | Flue Steam Inc. 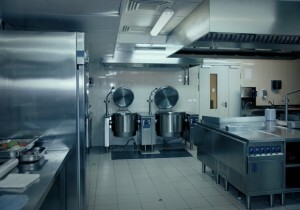 Protect your commercial kitchen with grease duct cleaning in Santa Monica CA. For just about any kind of restaurant, code compliance can be a real headache. Possible fire hazards can also cause concern. When it comes to achieving peace of mind in this area, grease duct cleaning Santa Monica CA is a great place to start. Just make sure you choose a true professional to provide it. There are many good reasons to trust Flue Steam for all your grease duct cleaning in Santa Monica CA. We employ certified technicians. Our employees have completed training courses with the International Kitchen Exhaust Cleaning Association, a respected organization of which we are a member. But we’re not just about book learning–our employees have had ample practice in the techniques learned in these courses thanks to years of real world work experience providing grease duct cleaning in Santa Monica CA. We help you save money without sacrificing safety. When it comes to the frequency of grease duct cleaning in Santa Monica CA, you may not need to abide by the industry guideline of a hand scraping every month. After all, depending on what you cook, your kitchen ducts might accumulate grease faster or slower than average. At Flue Steam, we use an IKECA comb to help measure the depth of grease in your ducts and determine how fast it builds up and how often you need cleaning services. This saves you from spending money on cleanings you don’t really need. We make it easy to schedule cleanings. Naturally a grease duct cleaning in Santa Monica CA will affect your ability to cook, which is why we provide our services at hours that are convenient for you. We also provide convenient stickers that state the date of the last cleaning to help satisfy code inspectors and help remind you when to schedule your next cleaning. Grease duct cleaning is actually just one of many important kitchen air control and fire safety services we provide. We can also help keep your swamp cooler running and make sure you have the necessary fire extinguishing equipment in place. To learn more or schedule a service visit, please contact us today.